As you saw from my last post, this past weekend was my friend’s birthday. One thing you should know about me is that I love birthdays! Whether it’s my birthday, my friend’s birthday or anyone’s birthday, it is a wonderful time to celebrate and bring everyone close to you together. 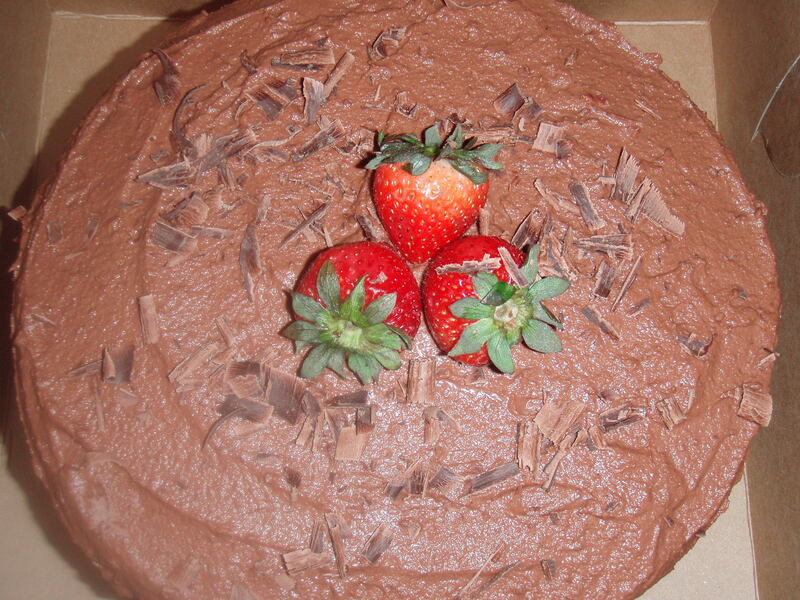 For her birthday, I decided to whip together a 4 layer vanilla cake with homemade chocolate ganache and strawberries. To any of you on the East coast, you know how hot and humid it was last Friday. We reached triple digit temperatures in NYC and as I was getting out of a cab at Grand Central Station, the ratio reported that it was 102 degrees F, but felt like 112 degrees F. This was definitely not the best conditions to travel with a cake, but I did my best. I rushed through Grand Central at 5:30pm on a Friday (which is a task within itself without a cake! ), made it onto a Metro North train, walked through several cars to find a seat and sat for 2 hours in a non-air conditioned car hoping the cake wouldn’t melt! There was some reconstruction when I finally arrived, but I made it. Cake intact and it was delicious! Let’s start with the ganache. 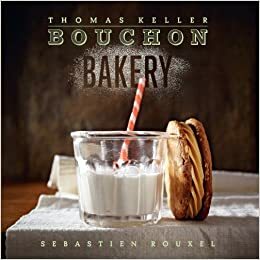 Per the not above, the ganache can be made up to 4 days in advance, but must be made at least 6 hours before you are ready to frost the cake. Chop up 12 ounces of chocolate into small pieces, place in a large bowl and set aside. In a large saucepan over medium-high heat, heat the heavy cream and sugar (if using) until it simmers gently. Be sure to stir occasionally so that the heavy cream does not begin to curdle. 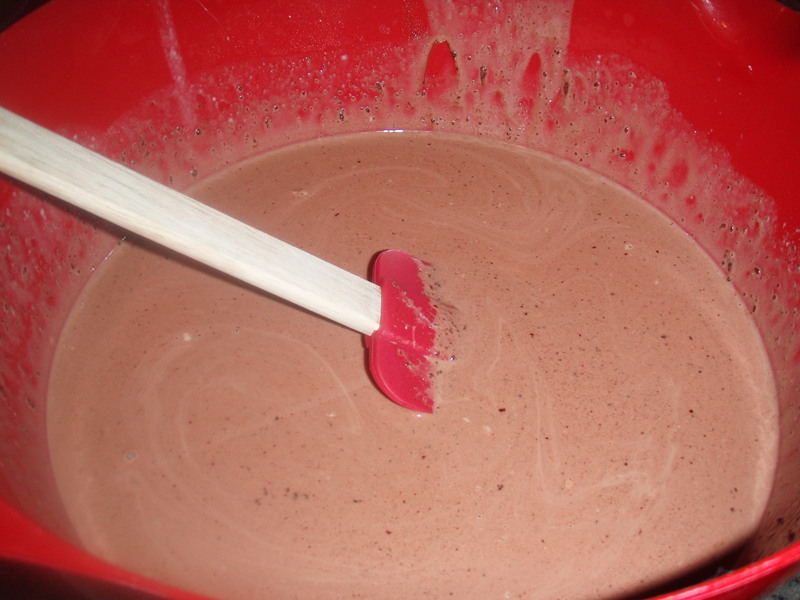 Immediately pour the hot cream over the chocolate and stir gently until the chocolate is mostly melted. 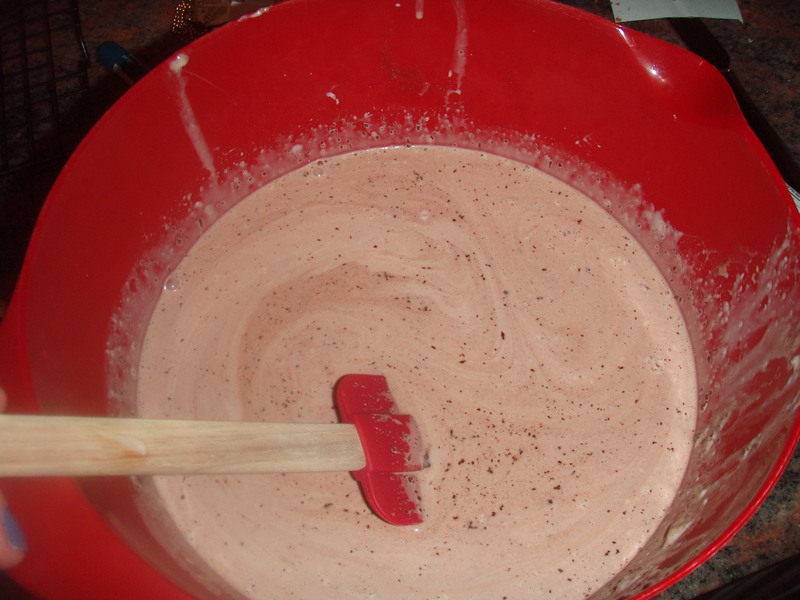 Let the mixture stand for 15 minutes to be sure that all of the chocolate has melted. 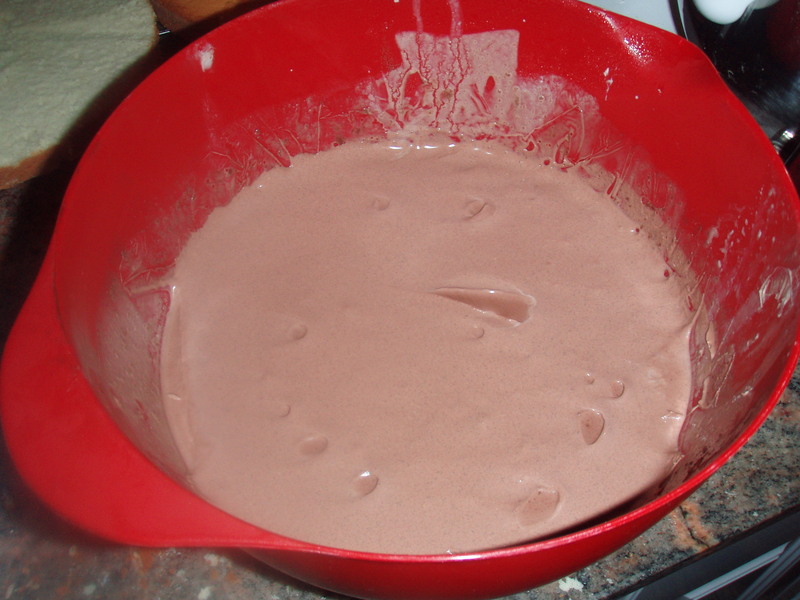 Once melted, stir the ganache gently until it is perfectly smooth, let cool. Once the ganache has cooled, cover and chill for at least 6 hours, preferably overnight. A trick to covering a liquid like this is to place the Saran wrap directly on the surface of the mixture. This prevents a film from forming over the top of the mixture. In the meantime, while the ganache is almost done chilling, let’s focus on the cake. 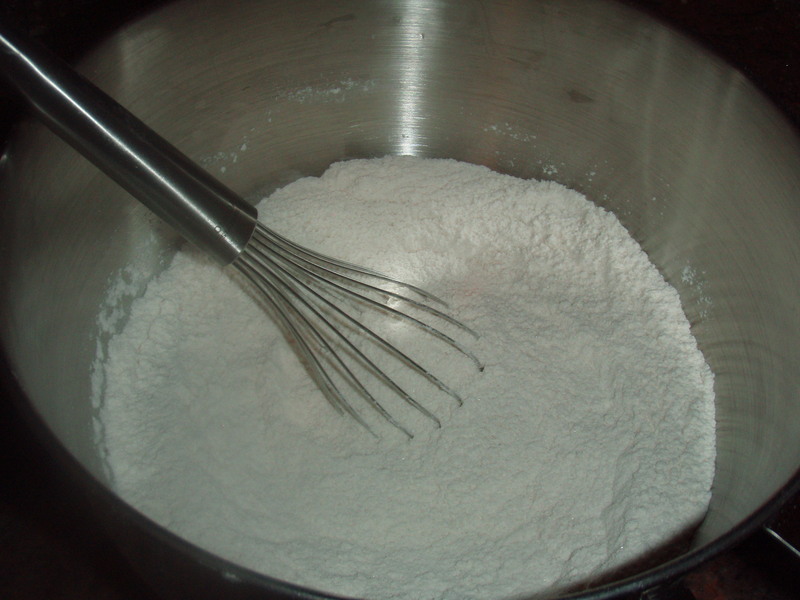 In a large mixing bowl fitted with an electric mixer, whisk together the sugar, flour, baking powder and salt. 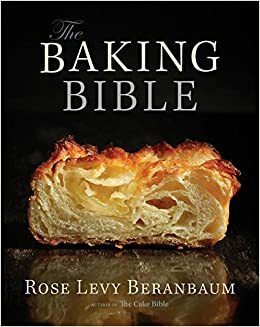 Cut the butter into Tbs sized pieces, place into the flour mixture and beat with an electric mixer at low-speed until it begins to resemble a sandy consistency. In a small bowl, combine the milk and vanilla separately and then add to the mixture all at once. 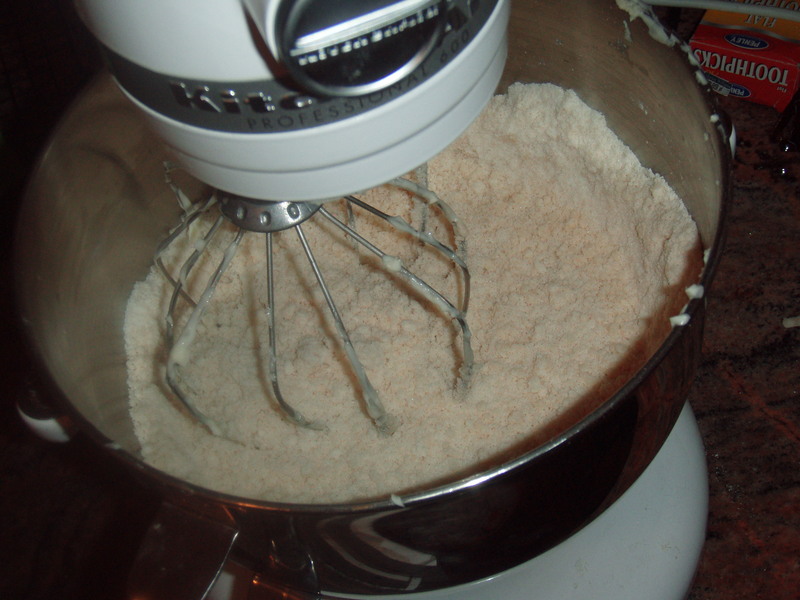 Mix in at low-speed for 30 seconds, then increase the speed to medium and beat for another 30 seconds. Be sure to scrape the sides and bottom of the bowl to make sure the mixture is fully combine. With the mixture running on low-speed, add 1 of the eggs. Increase the speed to medium and beat the egg into the mixture for 30 seconds. 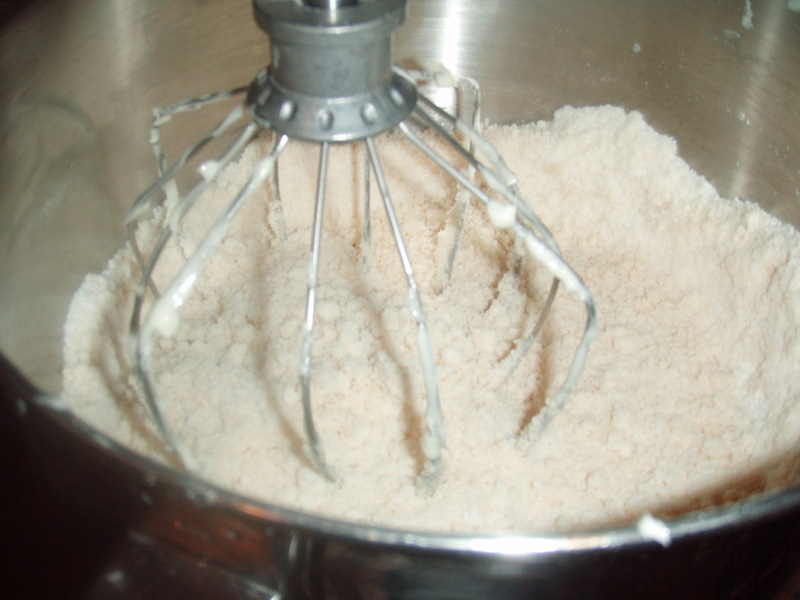 Place the mixer back to low-speed and repeat this process, one egg at a time, with the remaining 3 eggs. You’ll notice that after each egg is added the mixture will begin to look thicker and more fluffy. Once the last egg is added, scrape the sides and bottom of the bowl one last time, then beat at medium-high speed for 30 seconds to make sure the mixture is fully combine. The mixture should be very heavy, but fluffy. Pour the batter evenly between the two prepared panes and level with an offset spatula. Bake for 30 minutes, rotating half way through, or until a toothpick inserted in the center comes out clean. Remove the cakes from the oven and place on a rack to cool for 10 minutes before removing from the pan. 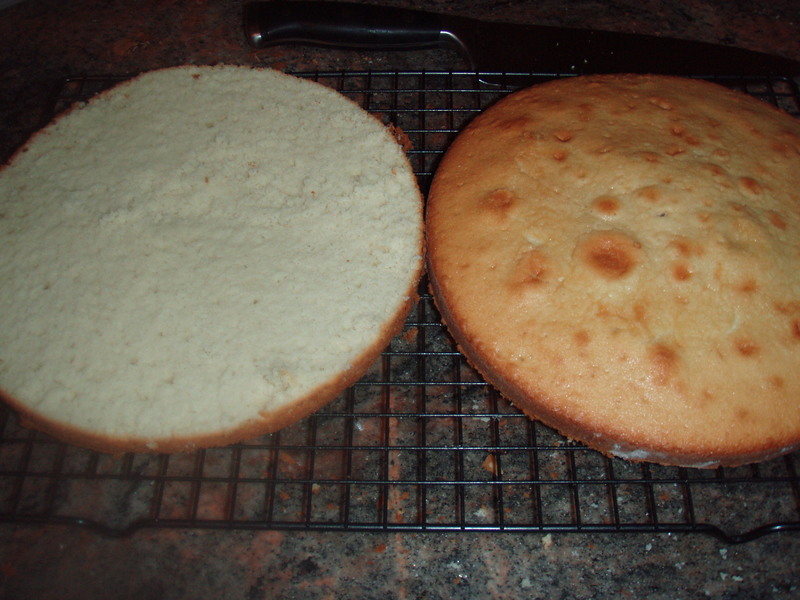 Once cooled, insert a knife between the cake and the edge of the pan to make sure the cake comes out clean. Remove the cakes from the pans and place on a cooling rack until completely cooled, a minimum of 1 hour. Once the cakes are completely cooled and its coming time to remove the ganache from the fridge, slice each cake horizontally so that you are left with 4 layers of cake. This is and optional step. I chose to make a 4 layer cake, but it is up to you as to many layer you chose to have. If you plan to only use 2 layers, skip down to ***. As a note for later, when it comes time to assemble the cake, you will use the bottom of one of the sliced cakes as the bottom of the final cake and the bottom of the other sliced cake as the top of the final cake. The bottom piece that is used at the top of the cake will be flipped over so that the final cake has a flat smooth top surface. 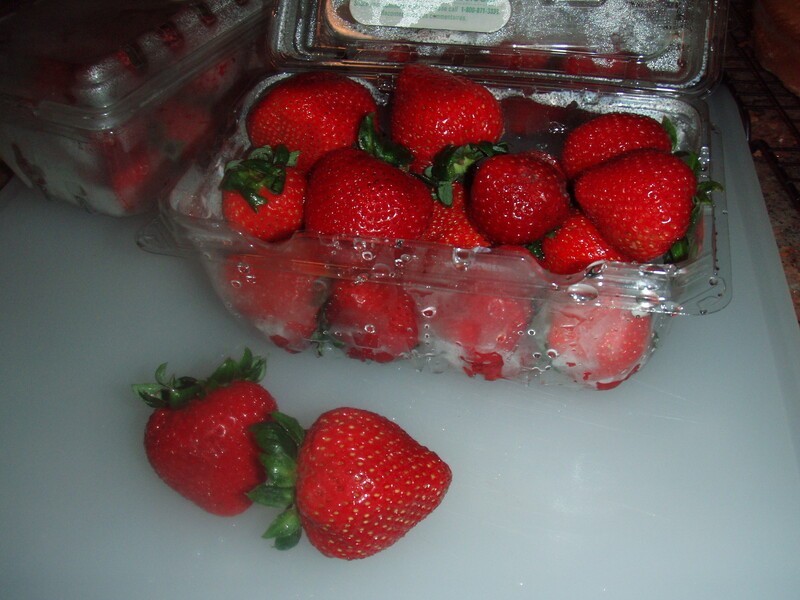 *** In preparation for assembling the cake, wash and cut the strawberries into halves or quarters depending on their size, place in a bowl and set aside. Now, back to the ganache. 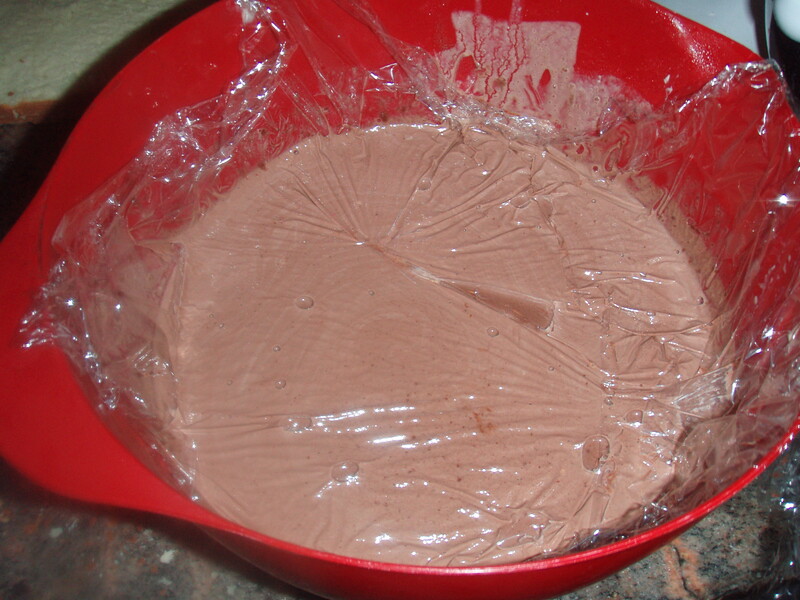 Once the ganache has fully chilled for a minimum of 6 hour and you are ready to start assembling the cake, take it out of the fridge and remove the Saran wrap. The ganache will still be creamy. 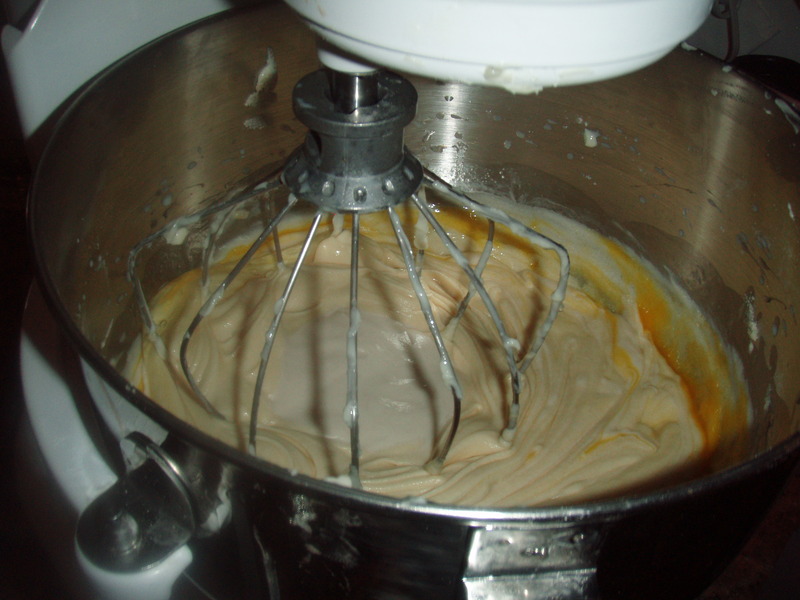 Slowly, with a rubber spatula, begin to whip until it is stiff enough to hold a nice shape and seems spreadable. Be sure not to over-whip the ganache or it will begin to look granular. You are now ready to assemble the cake! I’ve found that the easiest and cleanest way to assemble a cake is to place 2 pieces of parchment paper on the cake stand so that they meet in the middle and place the middle of the bottom layer of the cake right where the pieces meet. This way, once the cake is frosted, you can pull the sheets out from under the cake and the stand will remain clean. Scoop up a portion of the ganache and place it in the center of the bottom layer. Smooth it out evenly and add more if need be. Make sure there is a good layer so that when you place the next layer on top, it is raised a bit. 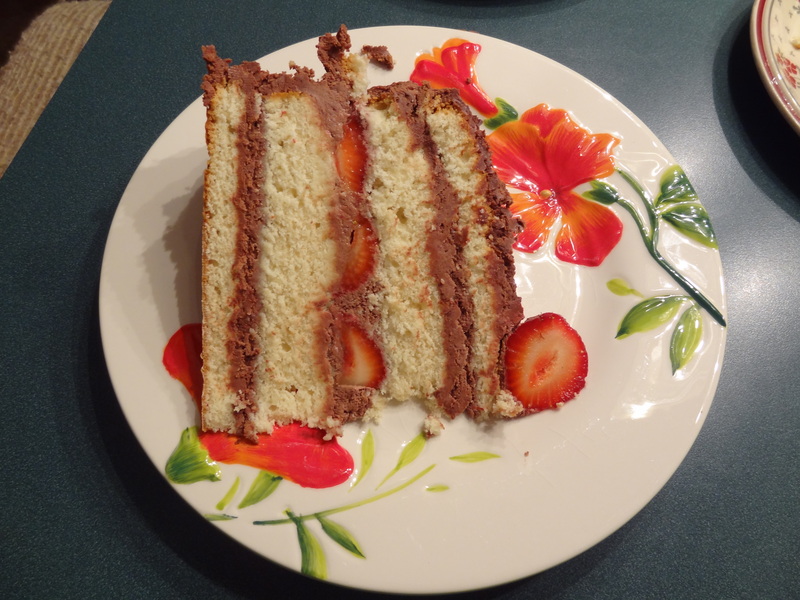 For the 2 layer cake: Place the cut up strawberries on the layer of ganache. Take more of the ganache and spread it evenly over the top of the strawberries. Then, carefully place the top layer of the cake directly on top. Skip down to ***. For the 4 later cake: I only put strawberries in the center of the cake, so after the bottom layer is frosted, place the second layer directly on top (per the note above, make sure that it is not one of the bottom pieces! That will be used as the top layer). Frost this layer as you did with the bottom layer. Then, place the cut up strawberries on the layer of ganache. Take more of the ganache and spread it evenly over the top of the strawberries. 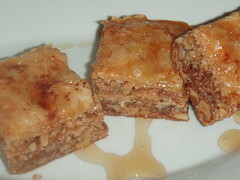 Place the 3rd layer directly over the top and frost as you did the previous layers. 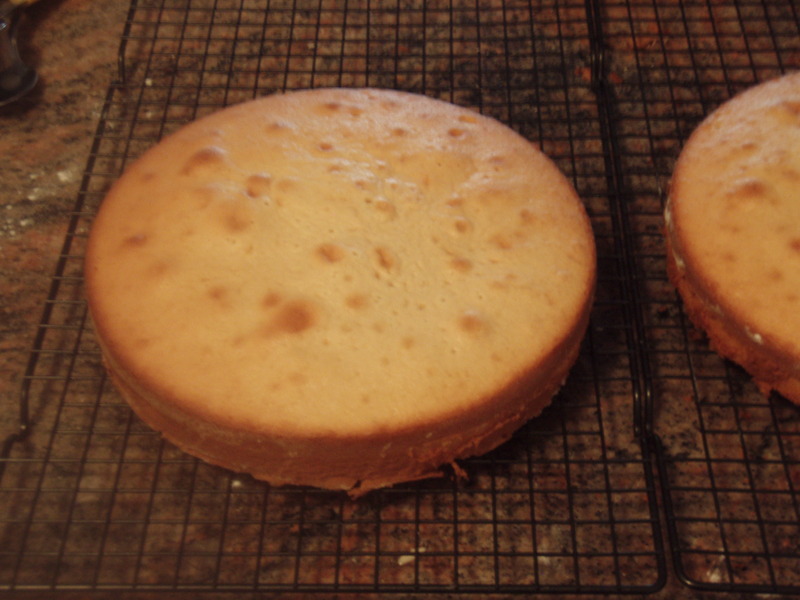 Then, the top layer should be the bottom of one of the sliced cakes. Flip it over and place directly over the layer of ganache as you did with the previous layers. 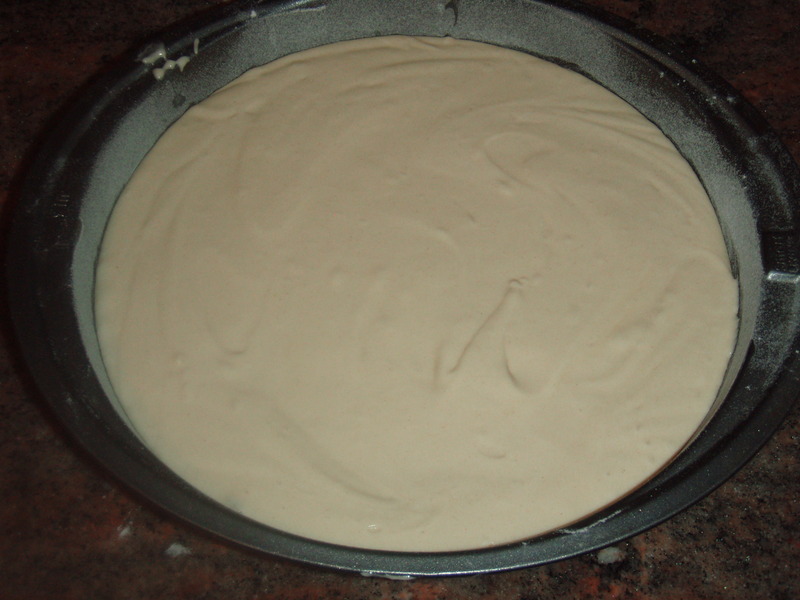 *** Now that the cake is fully assembled it is time for frost the sides and top. Starting with the sides, with an offset spatula, scoop up the ganache and spread evenly around the sides of the cake. Make sure not to be shy. You want to cover and get into all the creases of the cake. Once the sides are fully frosted, scoop the remainder of the ganache onto the top of the cake. Spread evenly. 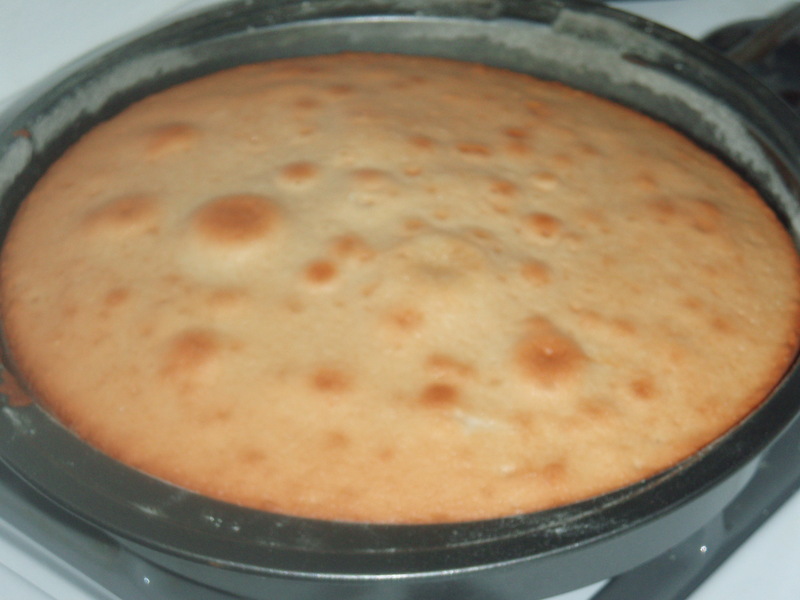 Now, go around the cake and smooth out any bumps, lumps or uneven edges to give the cake a crisp clean look. For the finishing touches, I took a semi-sweet chocolate bar and shaved the edges over the top of the cake and placed 3 strawberries at the center. Carefully, remove the parchment from below the cake and you are ready to serve!